A rugged aluminium sailing yacht with a lifting keel for exploring remote cruising destinations. A young couple in Capetown, South Africa, with two small children and extensive sailing experience have made the wise observation that there is no better way to raise a family than while circumnavigating. Their search for a suitable vessel to carry them on this physically and spiritually healthy journey has led them to Ed Joy Design. To put it in their own words, "This boat will be our home, our plan being to raise our kids and circumnavigate (using various routes) until we've had enough or the kids beg us to stay in one place. We need a boat that is as maintenance-free as it gets, and safety is a huge factor." The requirements are for a durable and low maintenance boat that is capable of exploring rivers and tidal basins that are inaccessible to fixed keel sailboats. With some modifications for less extensive work in high latitudes, the design for the rugged Antarctic charter vessel Seal, with her proven lifting keel and rudder, fit the bill perfectly. The hull, deck and mechanical systems of Eva (the children are great fans of Wall-E) were built at the Jacobs Brothers yard in Grassy Park, after which some talented boatbuilders in the family took over. The design changes from Seal included enlarging the cockpit by moving the pilothouse slightly forward and making the transom more nearly vertical. 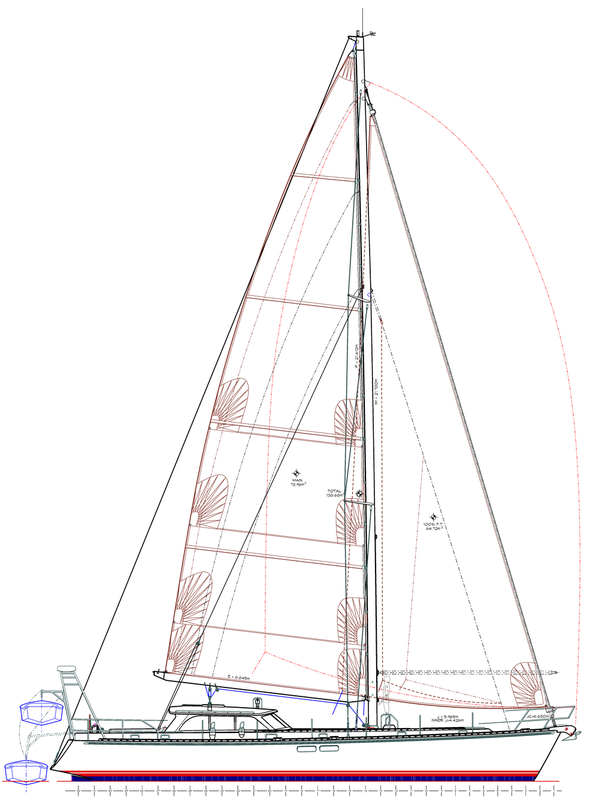 Since sailing regularly in 50 knot winds is also not part of the plan, the mast can be lighter and taller, improving performance in lighter air. Retained from Seal is the overall philosophy of simplicity and reliability. Eva's mechanical heart will be a commercially rated, slow turning, high torque diesel engine. 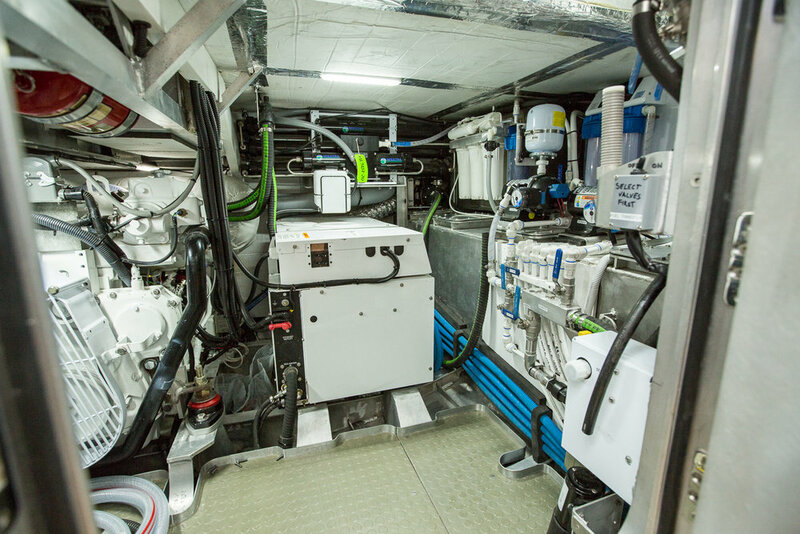 Electrical needs will be provided by a small diesel powered DC charger and a large bank of advanced batteries. Refrigeration will be provided by a high capacity ice maker normally seen on sport fishing boats. 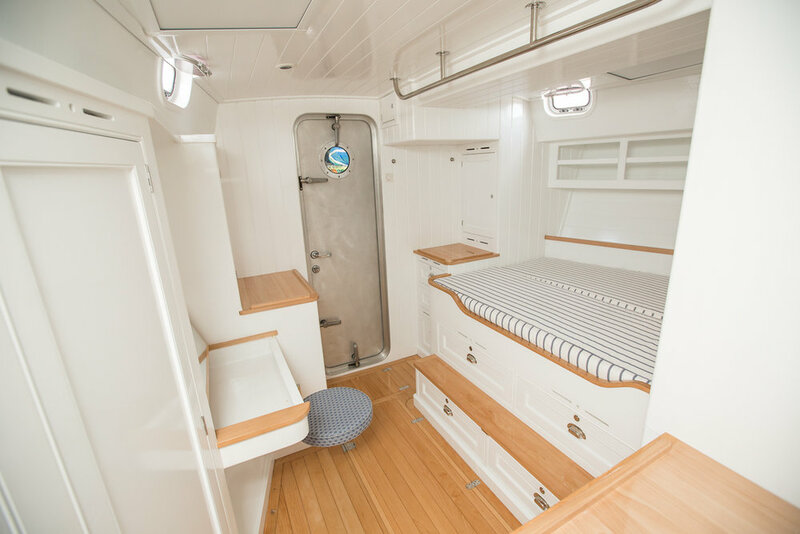 The interior layout is well suited for family living with the common areas located between the master stateroom aft and the children's bunk room forward. 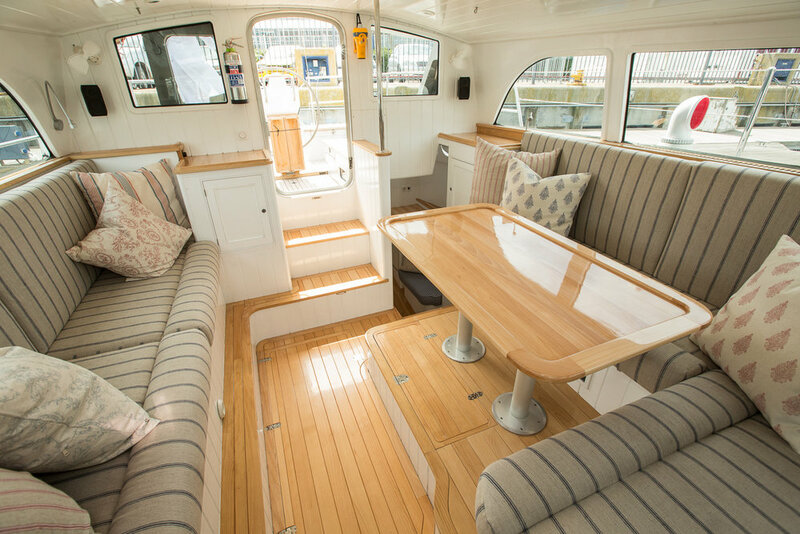 A spacious galley is on the port side of the keel case, complete with a small settee where children can color under the watchful eye of the cook. An entertainment and homework area is to starboard. 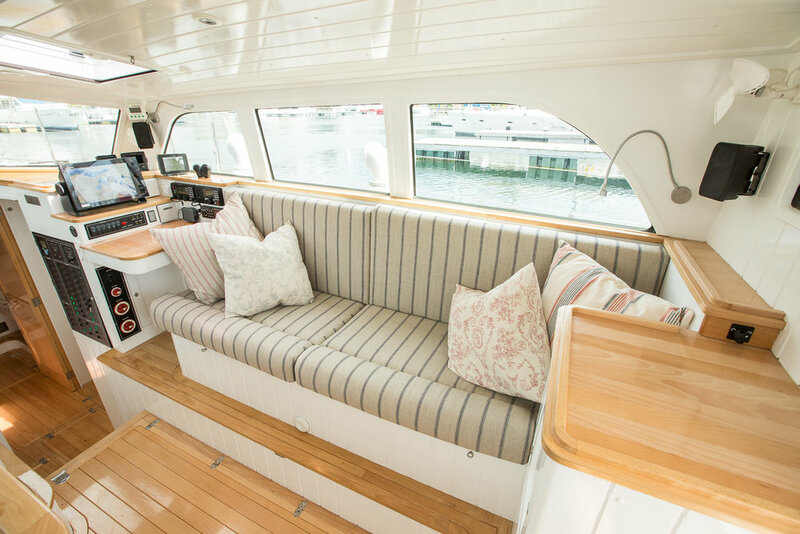 The dinette converts to a double berth for extra guests. Meals are consumed in the pilothouse. The cockpit is laid out for shorthanded efficiency. The unpowered winches are located inboard so the person doing the cranking will have both feet planted to deliver maximum energy to the winch handle. 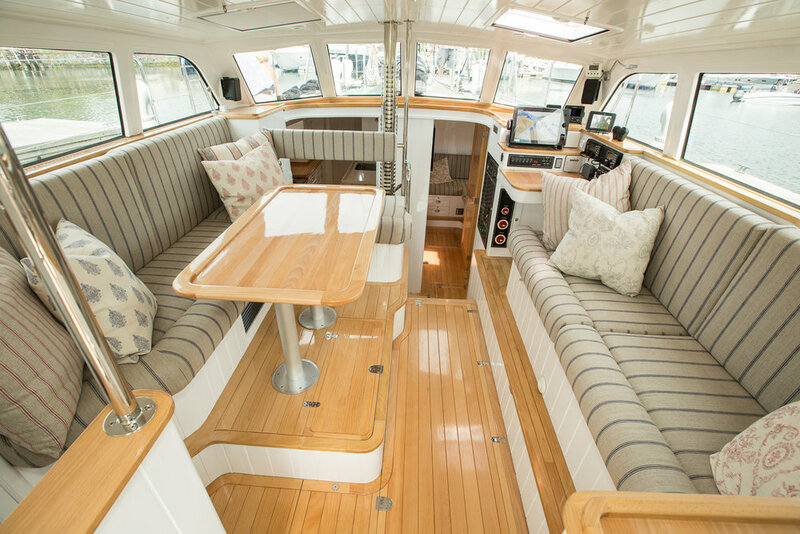 Another South African couple employed Ed Joy Design and Jacobs Brothers Boat Builders to create a rugged, aluminum, lifting keel yacht for extensive cruising. They had followed the adventures of Seal and her crew on the internet and were able able to visit Eva while she was under construction not far from their home. Both husband and wife have been successful in their careers and plan to retire in their early fifties. Thus the interior is laid out for one couple with occasional guests. 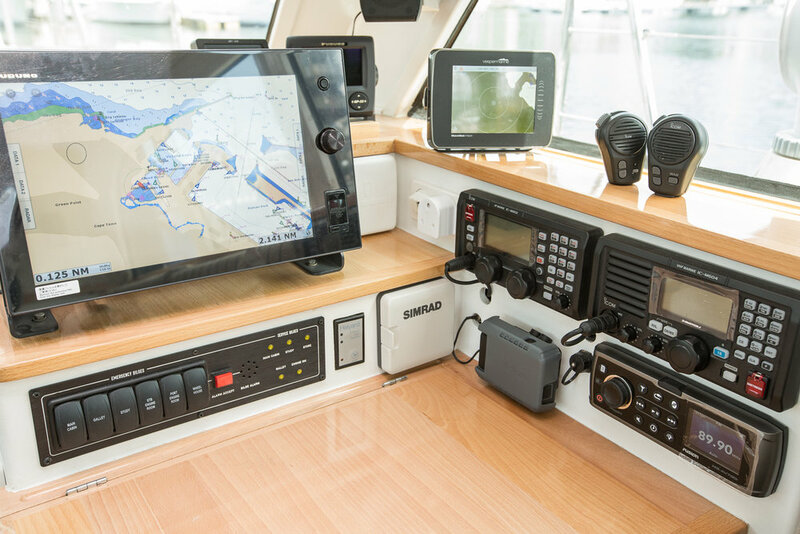 The sea berths aft and in the pilothouse are comfortable during the passage and the spacious forward cabin awaits when the destination is reached. 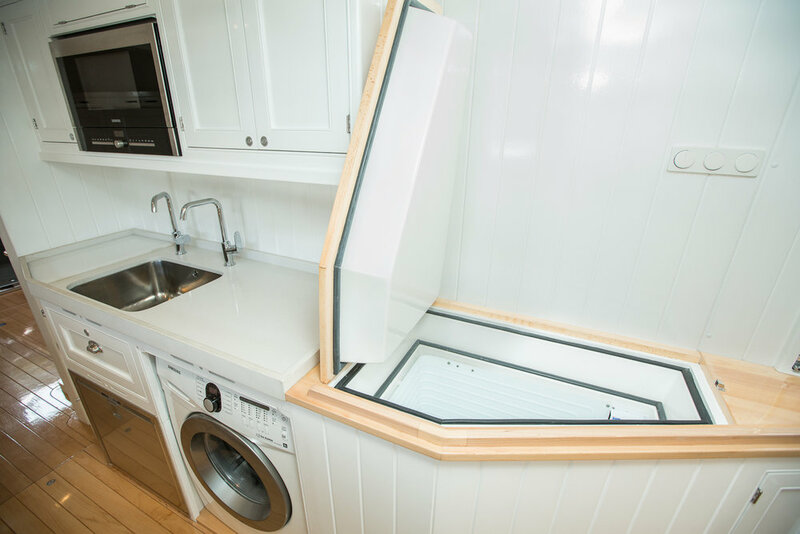 A throwback feature of the layout the single head, located to starboard with the shower stall opposite on the starboard side. 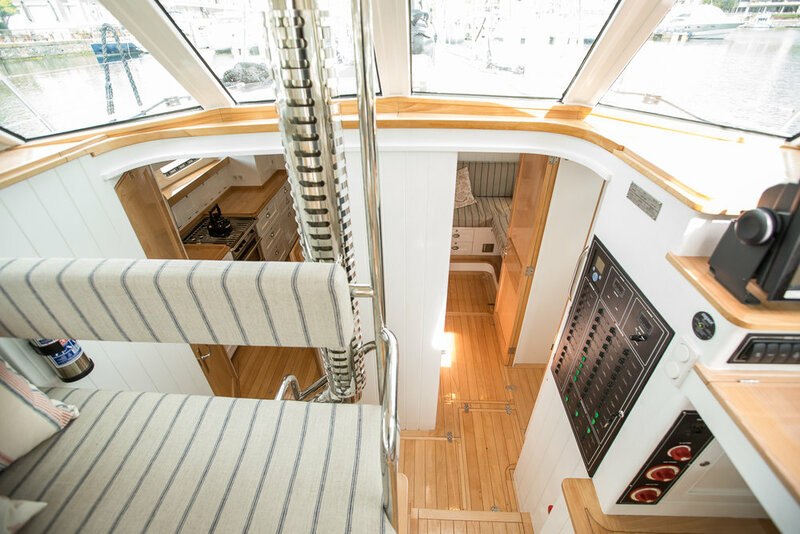 Like Eva, the galley is to port of the keel trunk. The deck plan shows a comfortable and secure cockpit with a single helm station and a slightly larger pilothouse than Eva. There is a chute for a single large anchor to starboard and a retractable sprit for an asymmetrical spinnaker to port. Urchin was launched and sea-trialed in October of 2016 and became the star of the Cape Town boat show that year, showing off the amazing skills of her builder.